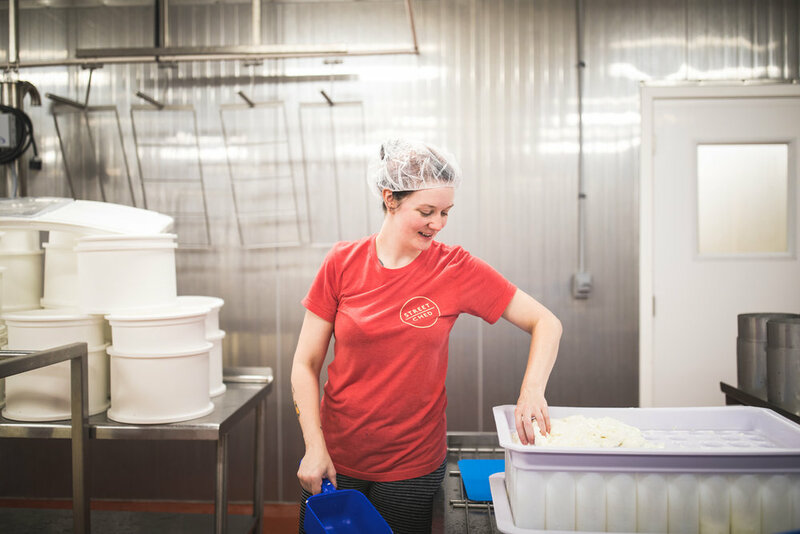 Our cheese is made fresh on site. But the story of how the cheese is made goes beyond our walls. The process is made up of countless hours, miles and people who help make us successful. We’re here early and we leave late, but it’s all for the love of cheese, and the amazing people in this community. Every week we make the trip by truck to Bohl’s Jerseys in Mowrystown, Ohio to gather close to 6,000 pounds of milk. We do this for a couple reasons: one, we love Bohl’s. Two, their Jersey cows produce milk with the highest butterfat and protein of all dairy cows —that’s great for cheese! 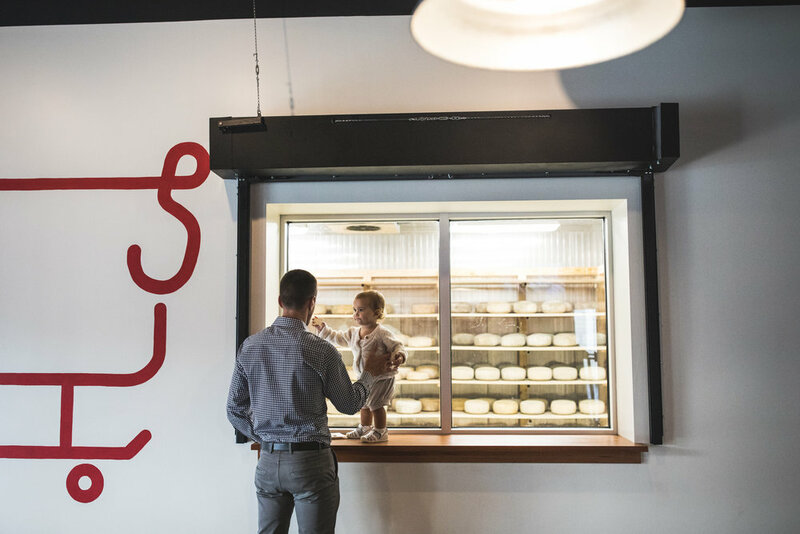 We turn our milk into curds—hunks of cheese eaten fresh instead of being aged—and then begin the process of turning curds into cheddar, tomme, camembert, quark, gouda and more. It’s all handmade, cultured and handled with care. Pressed, wrapped and ready to hibernate. Different cheeses take different times to age properly. We made sure to give our cheeses a nice, comfy place to sleep. 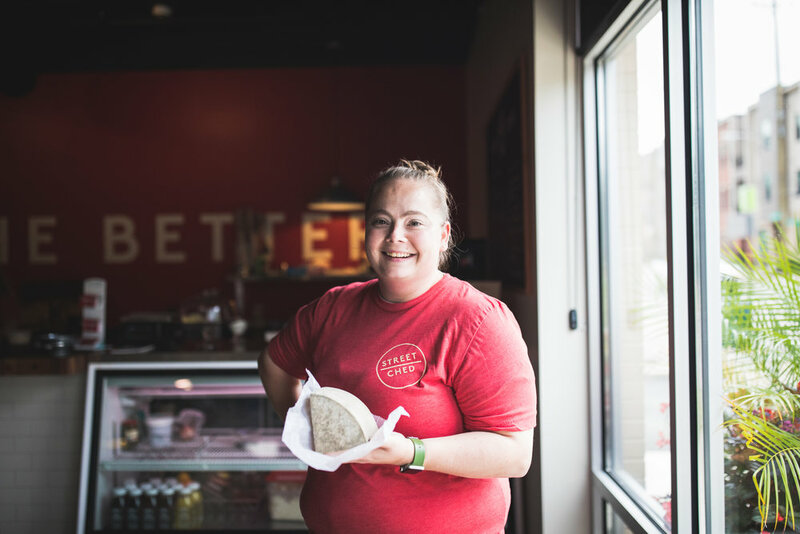 We sell our cheeses all around town, but the story doesn’t end there. 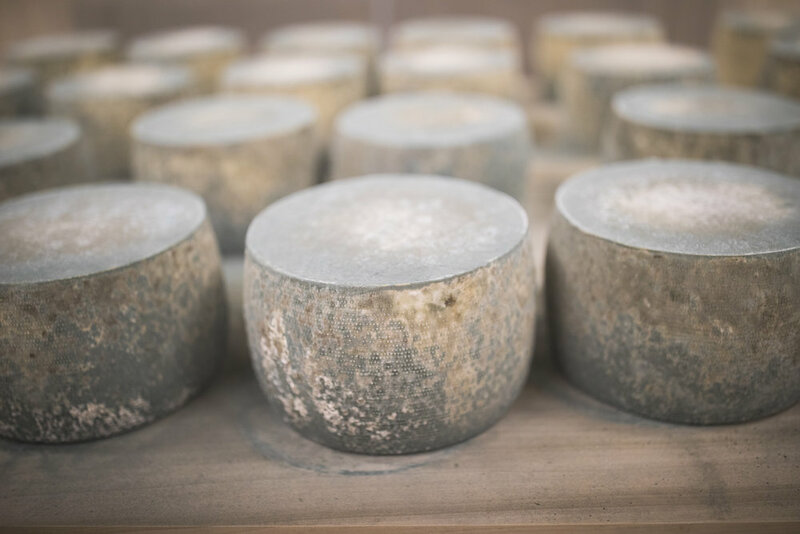 We send the whey byproduct from the cheesemaking process to a local farmer to feed their livestock, or we take excess cheese to food banks.